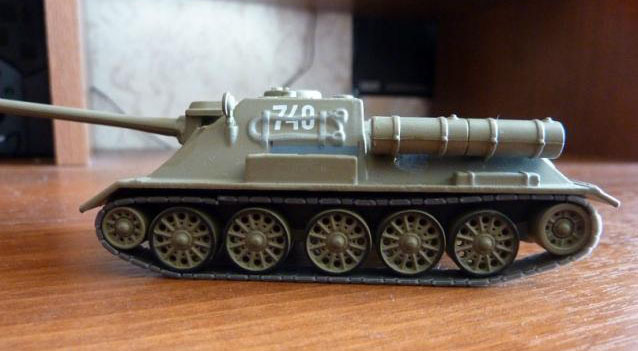 The SU-100 was a Soviet tank destroyer. It was used extensively during the last year of World War II and saw service for many years afterwards with the armies of Soviet allies around the world. 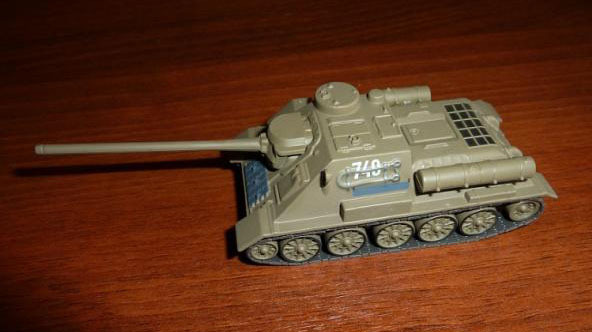 The SU-100 saw extensive service during the last year of the war. It was used en masse in Hungary in March 1945, when Soviet forces defeated the German Operation Frühlingserwachen offensive at Lake Balaton. By July 1945, 2,335 SU-100s had been built. The vehicle remained in service with the Red Army well after the war; production continued in the Soviet Union until 1947 and into the 1950s in Czechoslovakia. It was withdrawn from Soviet service in 1957 but many vehicles were transferred to reserve stocks. Some exist to this day in the Russian Army holding facilities. Many Warsaw Pact countries also used the SU-100, as did Soviet allies such as Egypt, Angola and Cuba. A few SU-100 were delivered to Yugoslavia after the war, under the designation M-44. 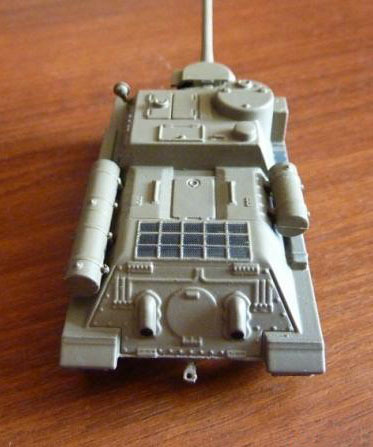 The SU-100 saw service in the fighting that accompanied the 1956 Suez Crisis, in which the Egyptians used SU-100s against Israel's M4 Sherman tanks. The vehicle was also utilized in the 1967 Six-Day War and the 1973 Yom Kippur War. 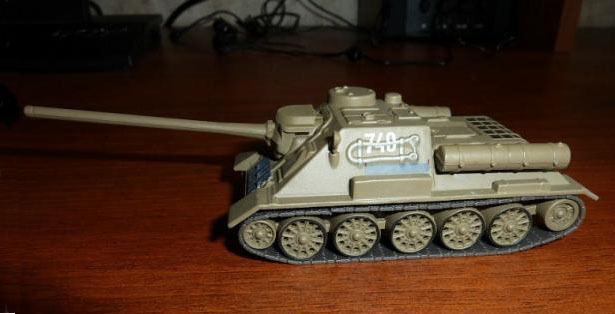 It was modified slightly to adapt it to the sandy conditions of the Middle East, thus creating the SU-100M variant. Exported SU-100s continued in service until the 1970s, and in some countries, even later. Yugoslavs used them during the civil war however due to lack of spare parts they were quickly retired, but performed satisfactory. The SU-100 remains in use by the Vietnam People's Army and the Korean People's Army Ground Force despite the age of the design. SU-100s entered service with the People's Liberation Army (PLA) of China in 1955 after Soviet forces left Dalian. The armaments in Dalian were sold to China, including 99 SU-100s, 18 IS-2 heavy tanks, 16 T-54s and 224 T-34s, with which PLA formed its 1st Mechanised Division.